As California suffers through a record drought, irrigation-free farming starts to step up. 2013 was the driest year on record in California. A report released in May by the Center for Watershed Sciences at the University of California in Davis projects a nearly $2 billion loss to the agricultural economy in 2014 as a result of drought. The report goes on to say that in California’s Central Valley – often referred to as America’s fruit and vegetable basket – 410,000 acres may go unplanted for lack of water, leaving 14,500 farm workers without fields to tend. The Sierra Nevada snowpack, which supplies drinking water to much of the state, reached only 32 percent of its average annual depth this winter and as of June 15th the 12 biggest reservoirs in the state were averaging 49 percent of their capacity. The swirling red, orange and crimson colors covering California on the U.S. Drought Monitor’s online map make it obvious just how severe the situation is. All eyes are on California’s farmers, as agriculture accounts for 80 percent of water use in the state. Drip irrigation, satellite-controlled sprinkler systems and genetically engineered drought tolerance are a few of the tools employed in the war on excessive water use, but others see simpler solutions. One such approach – the traditional practice of dry farming – is surprisingly absent from the conversations about California’s epic drought, but offers a refreshing answer to the quandary of agricultural production in an arid landscape. Flying west in the month of June is a visual lesson in the relationship between climate and agriculture. Whether you depart from Nashville or New York, the earth below is painted a monochromatic green. As you cross the Midwest, tan and beige creep into the color scheme, hinting at the prairie lands below. By the time you pass the continental divide that runs up through New Mexico, following the crest of the Rockies through Colorado, Wyoming and Montana, the last traces of greenery stop as if halted by an invisible militia. You have entered the arid West, where green seen from the sky in June is only in the circular or rectangular form of a farmer’s irrigated field. If you grew up on the East Coast, it’s hard to comprehend the weather in California. The average annual rainfall in Philadelphia is 41 inches. Santa Rosa, the biggest city in California’s wine country, receives an average of 36 inches each year, seemingly on par. However, it’s the seasonal distribution that matters to farmers: Santa Rosa averages less than an inch of rainfall between June and September, while Philly is bathed in over 15 inches of summer showers, the time when crops actually need the water. In California, rain comes all at once; often just a few massive winter storms account for the majority of rainfall, long before the planting season begins. Dry farmers learn to capture the stormwater before it runs into the rivers and out to sea. They trap it in their soil and pray that it will remain long enough to get their crops through the season. Fifteen miles north of Santa Cruz and 2 miles east of the Pacific’s crashing waves, Jim Curry is tending to his tomatoes. They are starting to flower and set fruit this month, and the thousands of lush green plants form a stark contrast amid the 5 acres of smooth, milk chocolate-colored earth from which they sprout. The powdery soil is fertile, but looks as dry as a sand dune. Curry has been growing tomatoes here since 1982 – entirely without irrigation. “You have to have the right climate and decent topsoil … you have to retain the moisture that happens naturally and keep it until it is time to plant the tomatoes,” he says. Dry-farmed tomato plants look half dead by the time the fruit is ripe, but the flavor explodes on the palate. It is the principle of dilution at work: less moisture in the soil means lower water content in the crop, which translates to more potent flavor. Curry is one of the founders of Molino Creek Farm where he has been tinkering with the art of dry farming since a marijuana-growing neighbor turned him on to the idea years ago. “They did it to avoid aerial detection,” he says. California may be passing through the driest years in living memory, but drought is the nature of western America; it physically defines the dramatic landscape that has lured so many sun-seekers across the continent. In it – and other arid regions of the planet – life has always flourished in its own way, as has agriculture. Farming would seem to be a contradiction in the arid regions of the world, but humans planted and harvested the scrublands and savannas of the world long before the advent of well pumps and sprinkler systems. Farming would seem to be a contradiction in these barren regions, but humans planted and harvested the scrublands and savannas of the world long before the advent of well pumps and sprinkler systems. Morocco, Sicily, Palestine, southern California: each had its endemic forms of agriculture, rooted in rich flavors coaxed miraculously from parched land. 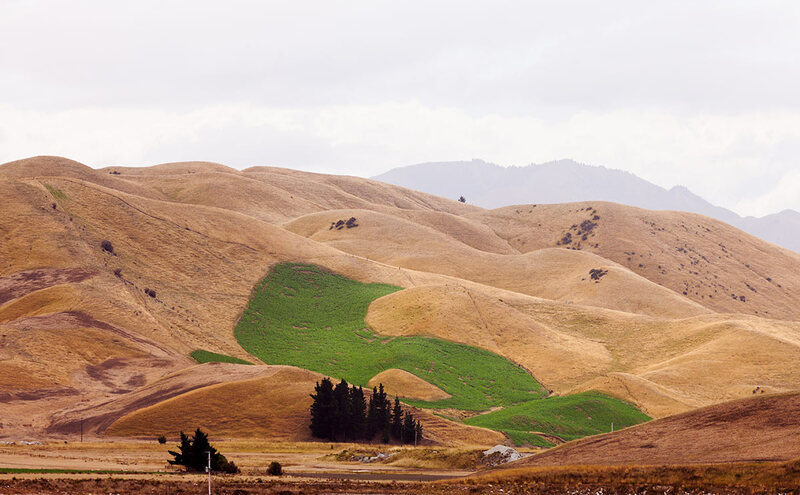 An hour north of the Golden Gate Bridge, David Little is driving around the golden hills of the Coast Range with an earth-caked, grease-smeared tractor in tow, tending to his scattered plots of land and continuing the dry farm experiment. This week he is busy putting his last batch of tomatoes in the ground. Little grows not only tomatoes without irrigation, but also melons, squash, potatoes and garlic. A sponge covered with cellophane will stay moist for a long time, which dry farmers hope will last through the growing season. According to Little, the precise timing of planting and tilling is the key to moisture retention. If the moisture of the winter rains evaporates from the soil before a field is properly prepared, Little has no irrigation system as a backup. “We make a lot of mistakes,” he says, “and there’s no going back with dry farming.” He has tried bringing water trucks into the field to save crops that weren’t making it, but has learned to let them wither – “they never fully recover, anyways,” he says. “Dry farming is a difficult financial niche,” says Little, “but I have found a formula that works for me.” By his own account, it is a formula earned through endless tinkering with both his production methods and his approach to marketing and distribution. Little says he gets about 7,000 pounds of potatoes per acre using his dry farming methods, compared to the 30,000 pounds per acre yield typical of irrigated potato fields. Though his flavor-rich dry farm tomatoes command a premium at local farmer’s markets, his potatoes and most of his other crops go for about the same price as their irrigated counterparts – though he says the dry-farm label does help them to sell. He’s found a niche with some of the organic distributors in the state, who help to market his goods to grocers and a number of Bay Area chefs have come to rely on his unique dry farm terroir as a staple in their culinary repertoire. One year he grew tomatoes on land he was leasing in a flood plain with a naturally high water table. “The chefs said the tomatoes weren’t as good as the year before, that they didn’t taste like dry farm tomatoes,” says Little. The discernment of flavor and quality on the part of his clients is the glue that makes his dry farming formula hold water financially. Besides tomatoes, wine is dry farming’s other claim to fame. Some of California’s finest vintages have come from grapes that survived only on the scant rainfall stored in the soil during the winter months. In southern California’s Sierra Madre mountains, near Santa Barbara, Condor’s Hope Ranch produces small batches of zinfandel, shiraz and rosé wines using dry farming techniques. Owner Steve Gliessman agrees that one key to dry farming is to till up a fine layer of soil on the surface that breaks the “capillary action” between the moist subsoil and the surface, minimizing the wicking of moisture by Little’s metaphorical sponge. Along with grapes, Gliessman lists a number of other familiar staples that were traditionally dry farmed, but are now grown in irrigation dependent cropping systems: figs, apricots, olives, walnuts and almonds, for example. In addition, prickly pear cactus, carob and saltbush are among the world’s most drought tolerant foods, though they are not likely to be found in the pantries of modern day America. So far, large scale agri-businesses have not taken up the art of dry farming and the lower yields per acre aren’t likely to sway them anytime soon. To an extent, the lower yields of dry farming are countered by the savings of not using irrigation. The infrastructure of wells, pumps, tanks and piping is expensive to purchase and labor intensive to install and maintain. Coupled with the cost of electricity for pumping water, irrigating can drive up the overhead costs of a farming operation considerably. In contrast, dry farming can seem like a minimalist approach. Little doesn’t even stake his tomatoes. He puts all his eggs into preparing the soil to retain moisture. Weeds are less of an issue without the moisture provided by irrigation systems and fungal pathogens and insect pests tend to leave dry plantings alone, as well. “I just plant and walk away, until it’s time to harvest,” says Little, who needs only four full-time employees, including himself, to manage his 60 acres. Everyone agrees that agriculture is caught in the middle of California’s water crisis, but is dry farming the answer to the West’s water woes? Depending on who you ask and how you filter the response, yes, no and maybe are all on the table. If Little, Gliessman and Curry gathered in a bar to ponder the future of their craft, one can imagine how eloquently they would wax and wane on the possibilities, and how doggedly they would stick to the assumption that dry farming is a necessity, ‘as it has always been,’ you can almost hear them say. Ever practical, they would also acknowledge things that just can’t be dry farmed – no lettuce plant or strawberry patch is going to live its life without irrigation in California. However, sit them down in the executive boardroom of a large bank, seeking a loan to scale up dry farming from a cottage industry to an agri-business capable of competing with the other agri-businesses that be, and they may have a hard time impressing their logic on the minds of agri-financiers. All three state unequivocally that ‘yields are diminished’ – not the words that any businessman wants to hear. ‘Scarcity makes water more expensive’, the bank executive might say, ‘so we see the rationale for investing in water conservation.’ But when will the tipping point occur that catapults dry farming to the forefront of ag water conservation strategies? Drip irrigation went mainstream years ago, while drought-tolerant genes are still a laboratory experiment with many voices clamoring against their use. The low-yield factor may make dry farming economically unpalatable to some, but for California’s out-of-work farmhands this summer, there are a few hundred thousand unplanted acres in the Central Valley that look like a fertile opportunity to attempt agriculture without the irrigation crutch.